When you’re taking on a significant home improvement or renovation project, filling garbage bags or trash cans with your waste can be time-consuming and inefficient. That’s why many residential projects call for dumpster rentals. 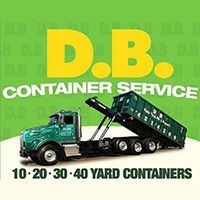 When you need a source for quality, reliable dumpster rental in NYC, look no further than DB Container Service. Since 2001, we’ve been meeting the needs of homeowners who need NYC residential dumpster rentals that they can count on. We have the perfect residential dumpster rental in NYC ready to meet your needs, no matter the size and scope of your project. We offer dumpster rentals between 10 and 40 yards, because we know your home project requires a unique dumpster rental solution. When you rely on DB Container Service for your dumpster rental needs, you get the perfect-sized dumpster for the project at hand, plus outstanding customer service. Get the best residential container service in Brooklyn, Queens and throughout NYC when you choose DB Container Service. At DB Container Service, we understand that dumpster rental is required for important home projects. That’s why we emphasize delivering customer service that goes above and beyond. We make the process of securing NYC residential dumpster rentals fast and easy, and you’ll find we are always honest, fair and focused on meeting your unique needs. Our business thrives on long-term relationships, which is why we offer the type of customer service that will inspire you to call us again for future NYC residential dumpster rentals. Get the dumpster rental you need and the outstanding customer service you expect when you call on DB Container Service. Are you ready for your residential dumpster rental in NYC? As noted, we make securing your rental fast and easy. Whether you need a dumpster rental this weekend for a roofing project or later in the month as part of an estate cleanup, we’re ready to meet your needs. Get in touch today for your free quote. If you have any questions about our dumpster rental service or what size dumpster might work best for your project, we’re only a phone call away. One of our team members would be glad to speak with you and share more about our services, plus offer expert guidance on the size of dumpster that would work best for your project. You enjoy many options when searching for a residential container service in Brooklyn, Queens and throughout NYC, but you’ll find dependable service and the best customer service when you choose DB Container Service. Get in touch today to secure your free quote on residential dumpster rental in NYC.